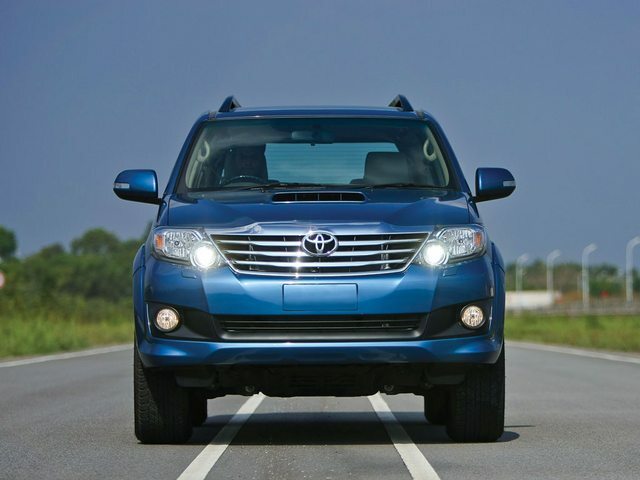 It is reat news to see Fortuner coming with an automatic 2WD option as it is most desirable for city driving. And if the automatic is priced lower than current 4WD model then it's going to just make the waiting list go further upwards. In the Indian History, For the first time Toyota got its Styling department right. Every element in this car looks great, beginning from its Chrome Headlamps with Projector element, Chrome ringed tail-lamps, Differentiated dashboard design elements from Innova & last but not the least an AT box. Truly this Toyota deserves an Applause. Hopes even half of it'll make in into Etios twins. When can we expect Toyota to launch this updated beast ? I simply love the Toyota Fortuner, the present version and this new one all the more. I simply love the Toyota Fortuner' date=' the present version and this new one all the more. Alongwith New 2012 Innova, these are supposed to be launched at upcoming Auto Expo 2012. You can see them on the road, Sooner than expected. The 2012 Fortuner definitely looks a lot more upmarket than the 1st gen Fortuner, which just looked like a spruced up Innova inside. The interior on this new one would at least make the buyers see and feel on why they're paying a premium above the Innova, in terms of interior fit/finish/design/features and more. Have a look on the engine of this car, you will say amazing. It has excellent exhaust guarantee the most comfortable drive in even overall challenging circumstances. Toyota has launched 5 speed AT Fortuner to add to it's existing lineup of variants.